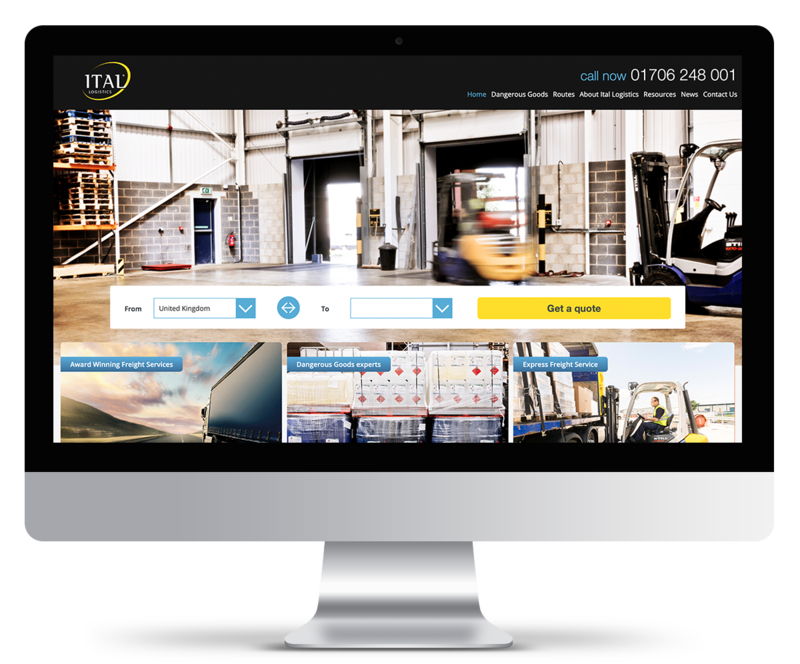 A brand new website for Ital Logistics. The User Journey was simplified and content re-focused. Years of code and development stripped back and streamlined for a fast loading, lightweight user experience. The build had to be sympathetic towards Ital Logistics impressive SEO footprint; which was not only retained, but can be built upon in the future. A highly polished mobile experience comes as standard with a Typeface website. 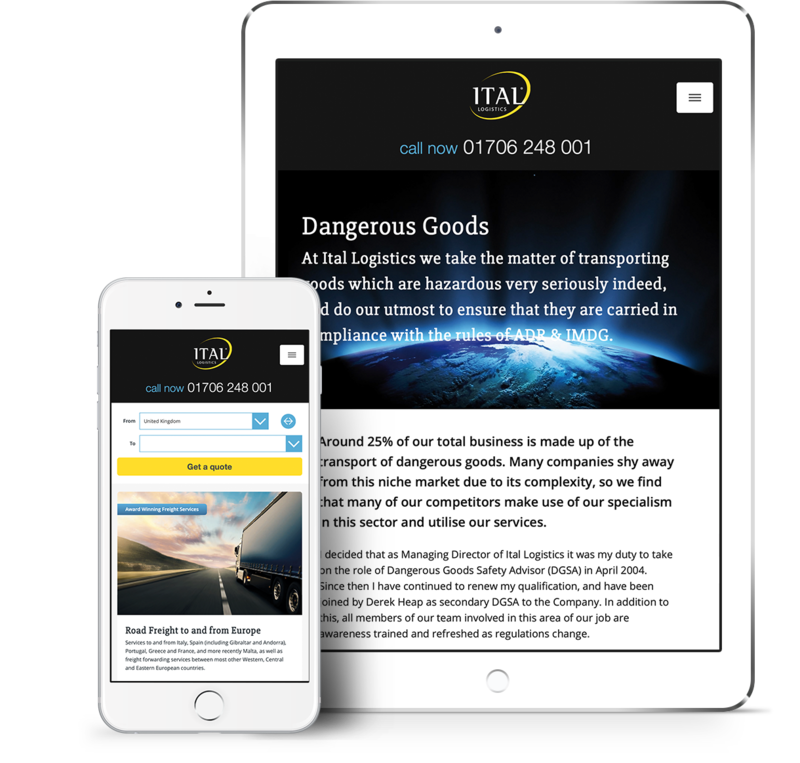 The new Ital Logistics website reflects its increasingly large mobile user base. Content is streamlined and signposting and interactions are rearranged for a fast, simplified mobile experience. The aim of Ital Logistics is to provide a quality, reliable and personalised service with openness, honesty and integrity.